Discussions on agriculture in the context of climate always focus on productivity and yield under global warming and temperature extremes. While rice, wheat, maize and soybean yields are expected to go down due to warming, there is optimism that genomics will deliver drought-and pest-resistant varieties. Time-tested methods for sustainable agriculture still have a big role to play in terms of crop rotation, crop diversity, drip irrigation, traditional and genetic breeding, integrated pest management and so on. Information technology will also play a bigger role via precision agriculture. But the role of agriculture in climate adaptation and mitigation must also be considered in the context of the Intended Nationally Determined Contributions commitments (INDC). 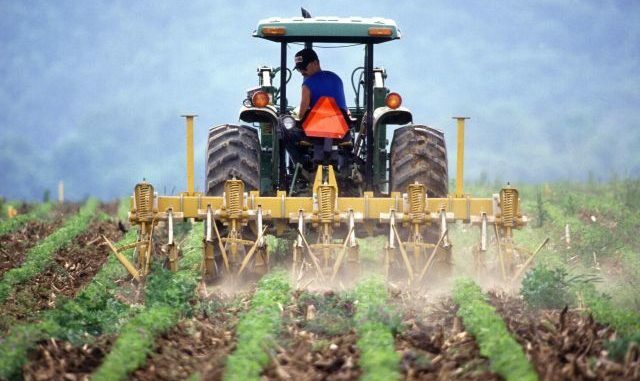 The agriculture sector contributes up to 25 per cent of the total anthropogenic emissions. Organic farming is considered environmentally friendly, but it must be kept in mind that organic food choices are mostly a lifestyle thing for the wealthy, and the yields tend to be lower than traditional farming. India remains largely a rain-fed, sustenance-farming country that needs its own vision, strategy and action for reducing agriculture’s contribution to emissions. Is diet change the solution? Overall dietary shifts, especially reduction in meat (most importantly beef) consumption will have to play a growing role in reducing overall emissions from the agricultural sector. This would require raising awareness as well as coaxing changes in social norms and behaviour. Convincing people about the health benefits of reduced meat consumption while at the same time minimising disruption in centuries-old cultural and social practices are critical. Agricultural vulnerability in India is not just dependent on climate impacts, but also on poverty and inequality, requiring that changes in agricultural practices must account for employment and socio-economic benefits for the entire sector. The Indian government has sought a 15-year vision, 7-year strategy and a 3-year action plan from the NITI Aayog, which includes a section on doubling farmers’ income by 2022. Farmer incomes have inched up from the early 2000s to the latest survey of 2013 from an average of Rs 3,000 to touch around Rs 6,000 per month. The distribution across states is quite uneven. Farmers’ loan burden is more than twice the national average for Andhra Pradesh, Karnataka, Kerala and Maharashtra. Worsening climate impacts also contribute to these inequalities. The steps recommended by the NITI Aayog mostly focus on socio-economic factors for doubling farmers’ income—marketing, raising productivity and commodity values. It is critical to explicitly include impacts of these choices on the INDC targets. For instance, environment, water resources, education, employment, industries, services and urban development are considered separately. The interaction among all these sectors and their net impact on total emissions have to be tracked via proper observational networks and bookkeeping. To repeat the well-known mantras, India has to reduce the energy intensity of its GDP growth and the carbon-intensity of its energy production. India has a golden opportunity to avoid several follies committed by the Western world. Protein over-consumption is high not only in the developed countries, but also in China and Brazil. Meat production has a disproportionately large environmental footprint per calorie. The country is still relatively low on meat consumption, but growing standards of living come with higher demand. Over one-third of calories produced as crops are used as animal feed in other countries whereas India returns nearly all of its crops for human consumption. This trend should be maintained in the future with a diligent focus on keeping animal proteins low in our dietary preferences. The rest of the world is also ignoring the role of legumes in fixing soil nitrogen, relying instead on nitrogen fertilization. More than 50 per cent of the applied nitrogen is not taken up by crops, creating serious disturbance in the natural nitrogen cycle. India remains the largest legume producer and can stay on this track if it does not blindly seek productivity increases via fertilizer applications. It has shown no propensity towards climate skepticism, but including improved agricultural productivity as part of climate conversation will only help in terms of appreciating the co-benefits of climate actions. The advances within the country on climate and crop research should begin to include systems approach by also integrating key drivers such as local, national and global market forces, policies and INDC commitments. Social and natural science research should focus on perturbation in the food-energy-water-health nexus via growing crop demands for biofuels and animal feed, urbanisation, deforestation and environmental and health impacts due to dietary shifts and pollution. Global integration of crop research has been advocated recently and India should begin to integrate itself into these global visions. Bold commitments to climate action now demand visionary approaches to reduced agricultural emissions. The co-benefits in terms of food, water, energy and nutrition security will be worth the pain.